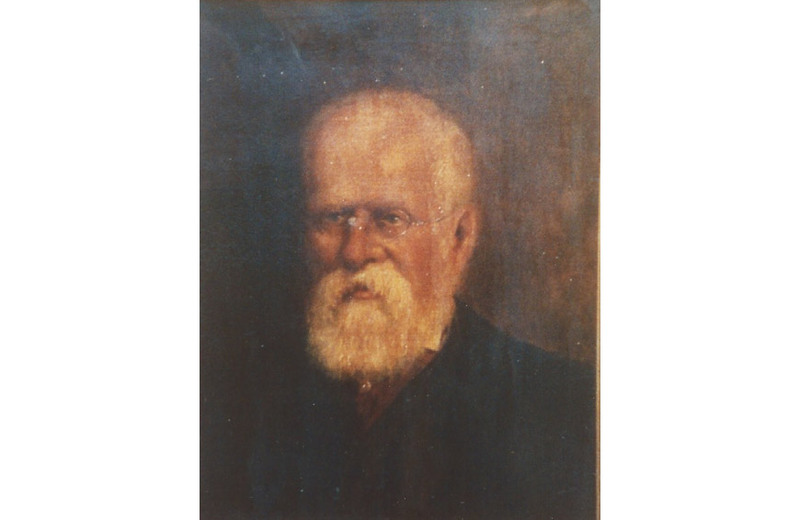 John Rűntz was born on 20thDecember 1818. His father was also called John Rűntz and he was born circa 1787; almost certainly in Germany. The family frequently used the umlaut over the ‘u’ and indeed John used it when making his Will in 1889. The use of the umlaut seems to have dropped out of use in later generations. 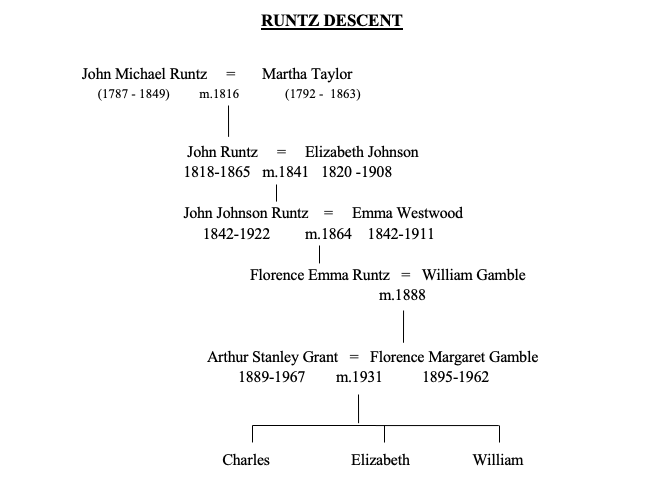 The Mormon’s International Genealogical Index lists a large number of people with the name Rűntz in the Rhineland; particularly in Annweiler. John Rűntz the father was a winecooper. Winecoopers sample, bottle and sell wine; they are notbarrel makers. The suspicion is that he was sent across to England from Germany to sell the family wine where he met a local girl, Martha Taylor, who came from Shelfield in Staffordshire. They got married in Chatham, Kent on 26thFebruary 1816. They had seven children, three boys and four girls. John was the oldest. Two of his brothers, George, and James, played a significant part in John’s life. John was born at 3 William Street, Kingsland Road, Hackney. He was baptised in the Chapel of the Hoxton Academy, a seminary for training Congregational Ministers; the family were non-conformists. He was brought up in a home with strict moral principles. He married Elizabeth Johnson on 28thMay 1841 and at the time of the 1841 Census on 6thJune, John and Elizabeth were living with his mother-in-law in Dalston Road, Hackney. He had become a Tunbridge Waremanufacturer. Their first son, John Johnson, was born on 14thMarch 1842. He was followed over the years by 5 more boys; Alfred (1844), Edwin (1849), Arthur (1853), Edgar (1856) and Ernest Augustus (1859). Very sadly Alfred died when he was only 15, Edwin when he was 6, Arthur got to 35 but died before John, and Edgar died before he was 1. By 1851 the family had moved to Leicester Cottages in Kingsland with the first three children and Elizabeth’s mother. 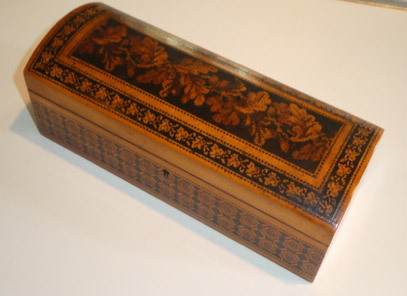 John had given up making Tunbridge Ware and had become a music teacher. 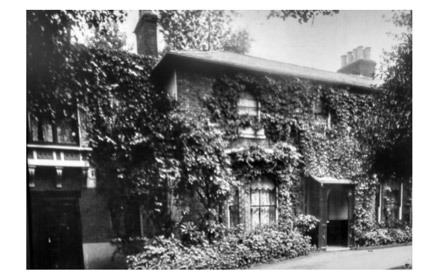 By 1861 they had moved to Milton Road, Hornsey, and then in 1869 they moved to Linton Lodge, Lordship Lane, Stoke Newington. 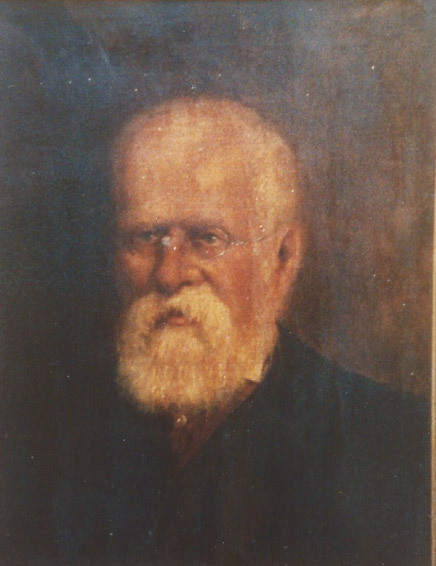 John widened his teaching to include other subjects and became particularly interested in helping working class children to get an education. He was enlisted by William Ellis to start the Birkbeck Schools which were set up to help children of parents who were ambitious enough to set aside a small amount to pay for their children’s education, slanting their curriculum towards those from artisan and small tradesmen’s homes. The first school was set up in the London Mechanics Institute in Southampton Buildings near Holborn. The London Mechanics Institute had been set up by Sir George Birkbeck in 1823; it is the same man after whom the present Birkbeck College of London University is named. Because the first school was set up in the Institute they were known as the Birkbeck Schools. John became the foundation headmaster of the schools. Further schools followed at Finsbury, Vincent Square in Westminster where his brother George became headmaster, Bethnal Green, Peckham and Kingsland where John’s brother James was headmaster for 52 years. Social Science was introduced into the curriculum. Sergeant Major Bertram Browne was the drill instructor! John became the Superintendent of all the schools. In 1847 John started a long association with the British Empire Mutual Life Assurance Society. He became Deputy Chairman in 1870 and Chairman in 1873. After a number of mergers the Company is now part of the Phoenix Insurance group. In 1851 the Birkbeck Building Society was founded under Francis Ravenscroft and in 1852 John joined the Board. The Building Society was an enormous success; it was so successful that to all intents and purposes it had become a bank. It grew into being the fifth largest deposit taking institution in the country. John attended daily at the Society’s premises and in 1860 became one of its trustees. In 1868 he became its Chairman. The Society had a very small capital in comparison with a Bank. As a result the Society kept a lot of readily cashable securities. Shortly after John died in 1891 concern arose over the Liberator Building Society as to whether it could repay its depositors. This had a knock on effect on the Birkbeck and there was a run on the Society. This lasted for three days. Nearly £1 Million was withdrawn. Every depositor who wanted his money back was paid. John had run the Birkbeck with its small capital on sound principles and in the end people realised that the Birbeck was a reliable institution. A great deal of the money which had been withdrawn was redeposited. The only people who lost money were people who withdrew their money and then fell victim to pickpockets outside. In 1884 he was elected to the Court of Directors of the New River Company  and represented the Company on the Lee Conservancy Board . He was also a director of the Gas Purification & Chemical Co. Ltd. and Johnson’s Saccharum Co. Ltd. He became a freeman of the Worshipful Company of Wheelwrights in 1875, a liveryman in 1876, and was elected to the Court in 1880 and was Master in 1883/4. 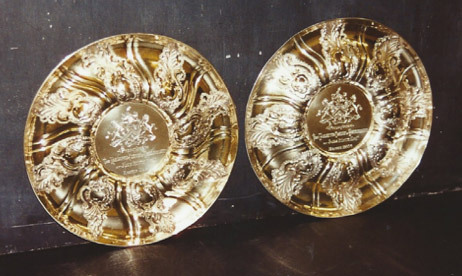 He gave the Company two beautiful small gilt dishes. In 1842 he started his long career in Local Government. He was elected to the North Hackney Vestry when he was only 24. He was elected by his colleagues to serve on the North Hackney Board of Works. He was also a member of the Stoke Newington Vestry and from 1867 was the Board’s representative on the Metropolitan Board of Works (“MBW”) on which he served for 22 years. When the MBW was replaced by the London County Council in 1889 he stood for election. Just before the election, his son Arthur died unexpectedly, aged 35. John’s heart was weakened by this loss and he was unable to hold public meetings. He lost by 720 votes. John joined the MBW in 1867 after it had built both the new sewer system for London and the embankment from Westminster to Blackfriars Bridge under Sir Joseph Bazalgette but there was still more to do and it was a busy period for both John and the MWB. 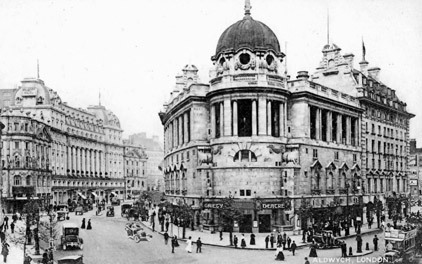 New Streets were created including the Charing Cross Road and Shaftesbury Avenue. Year after year the Government piled additional burdens on the MBW – bridges, parks, theatres, and supervising the administration of the Infant Life Protection Act, 1872 concerning ‘baby farming’. Both the Water and Gas came under their supervision and many public open spaces were being created. When the bridges were freed from tolls there was great formal opening ceremonies for the Lambeth, Vauxhall, Chelsea, Albert and Battersea Bridges on 24thMay 1879 when the Prince and Princess of Wales rode in a carriage over each of the bridges in succession declaring them “free to the public forever”! Albert Bridge today is painted in pastel colours and is lit up at night with thousands of bulbs. It looks like a wedding cake! There is still a notice at both ends of the bridge instructing troops to “break step” so that the vibration of the boots in unison doesn’t cause damage to the bridge and the weight limit is only 2 tons. The same thing happened on 26thJune 1880 when Wandsworth, Putney and Hammersmith bridges passed into the possession of the MBW. For Putney it was the old wooden bridge which was taken over but it had to be pulled down and the present stone bridge was built at a cost, with road works, of £300,000. Once more their Royal Highnesses opened the new bridge on 4thJune 1886. As regards the parks, John was involved in the preservation of Hackney Downs, Mill Hill Fields, Newington Green and Finsbury Park. But his most well known work in the creation of public open spaces was with John Beck. The two men were largely responsible for opening Clissold Park for the public. In 1886 Clissold Park was acquired by the Ecclesiastical Commissioners for £65,000. A syndicate of builders was prepared to offer the Commissioners £120,000 to purchase the Park. 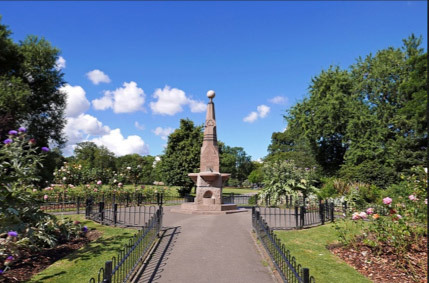 However there was strong support from the local residents to acquire the Park as a public open space and the Commissioners were prepared to offer it to them for £95,000. A Private Act of Parliament was required to enable adjoining parishes, aided by the MBW and the City Charity Commissioners, to purchase the Park. A group of local residents headed by Joseph Beck, which included both John Runtz and his son John Johnson Runtz, subscribed to a Guarantee Fund for the Bill. Both the Metropolitan Board of Works and the New River Company opposed the Bill but John Runtz, being involved in both organisations, persuaded them to drop their opposition and the Bill went through both houses of Parliament without opposition. The purchase money of £95,000 was now required with completion being at Michaelmas and if there was any delay interest would be payable at 4%. The City Corporation, on behalf of the City Charities agreed to subscribe £47,500. The MBW agreed to pay £25,000. Stoke Newington agreed £10,000 and South Hornsey £6,000. Hackney voted £5,000 and, with a bit of reluctance, Islington agreed to provide £2,500. Although this came to £96,000 interest had accumulated for late completion amounting to £5,000. Joseph Beck persuaded the Commissioners to forego the interest and all seemed well, but there was one further snag when the City Charities, for technical legal reasons, were not yet ready to put up their £47,500. This time John Runtz persuaded the Metropolitan Board of Works to advance the money and on 10thJanuary 1889, when Joseph Beck was in India, John was able to pay into the Bank of England for the account of the Ecclesiastical Commissioners £96,000. Next day Clissold Park became public property and on 24thJuly 1889 Lord Rosebery, then Chairman of the London County Council and later Prime Minister, opened the Park. In the Park there are two lakes called respectively Beckmere and Runtzmere and there is a substantial drinking fountain memorial to Joseph Beck and John Runtz. Regrettably the fountain has been damaged but there are plans for its restoration. As if all this was not enough, by the time John and his family moved to Linton Lodge in Lordship Lane, he was a Captain in the Stoke Newington Rifles, a Company of the Tower Hamlets Rifle Volunteer Corps. His brother James was a sergeant and the Secretary, and his son Arthur a private. Sergeant-Major Browne was the drill sergeant; he was also the drill master of the Birkbeck Schools. In due course the Tower Hamlets Rifle Volunteer Corps was amalgamated with the London Rifle Brigade. He retired from the Brigade in his 54th year. He died on 19th December 1891 and is buried in the Great Northern Cemetery with his wife, Elizabeth, his son Arthur Harry and his wife Maria Ann. He was born on 14th March 1842. He was educated privately, probably at the Kingsland Birkbeck Schools where his younger brother, Ernest Augustus, was educated. On 10th October 1864 he married Emma Westwood in St Mary’s, Hornsey. Her two sisters Mary Ann and Jeanette acted as witnesses. 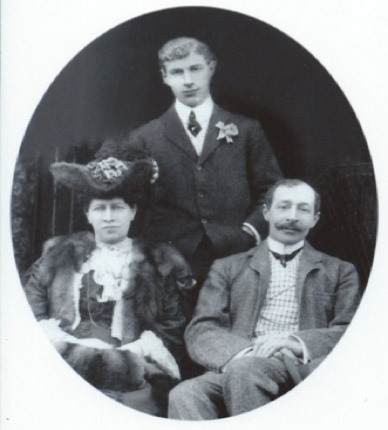 They had three children, Florence Emma (b.1865), who married William Gamble, John Stanley (b.1868) who married Mary Ruth Holding and Sidney Westwood (b. 1876). John Johnson spent his whole working life as an insurance broker. He founded the firm of J.J. Runtz which had offices in 33 Nicholas Lane. In 1894 he took his eldest son, John Stanley, into partnership and practised as J.J. Runtz & Son. He campaigned vigorously to form an association of insurance brokers. In May 1906 the committee which had been formed for the purpose was successful and the Corporation of Insurance Brokers was formed. John Johnson became its first President. This portrait is inscribed at the top left, “To my Friend, Sir John Johnson Runtz”. It is signed at the bottom by Lucy Kemp Welch. He was a director of the Birbeck Building Society for fifteen years but resigned after his father died. He became a freeman of the Worshipful Company of Wheelwrights in 1878 and a liveryman the same year. He was Master in 1898. He gave the Company a silver loving cup. 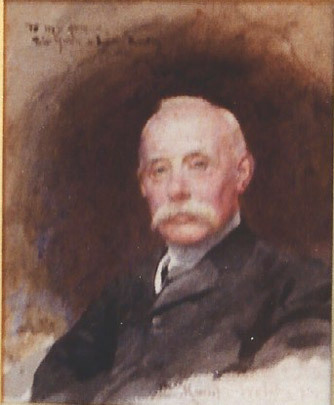 In 1898 he was elected to the Court of Common Council for Langbourne Ward. He served on the Bridge House Estates, Coal, Corn and Finance and Police Committees. He was a member of the prestigious City Club as well as the equally prestigious Carlton Club. The City Club still flourishes today and is the prime club for the City’s top brass. The Carlton Club is the prime club for leading members of the Conservative Party. For many years it was a men only club which presented an embarrassment when Margaret Thatcher became Prime Minister. She was made an Honorary Member, but it was not until 2008 that women were allowed to become full members. He was also a member of the Constitutional Club, another Conservative Club which no longer exists. Like his father he was a Stoke Newington Vestryman and was President of the North Hackney Conservative Association. He was frequently asked to become a Member of Parliament but he always declined. He campaigned vigorously for Stoke Newington to become a Borough in its own right and in 1900 this was successful. He was its first Mayor and in 1903 he was created a Knight Bachelor. His interest in the Church was a noticeable feature, and he held the office of Churchwarden at St. Mary’s for close upon 30 years. It benefited greatly from his generous purse and, on retiring from that position, which occurred when he left the Borough to live in the country, he could well claim to have been a veritable pillar of the church. His retirement as a member of the City of London Corporation was much regretted, but Sir John felt the effects of “Anno Domini” and decided that it was imperative, for health’s sake, to live a less active life. Of an old world courtliness, of genial temperament, ever ready to do a kindness, he has enjoyed the friendship of all and the deep affection of those privileged to claim him as an intimate. It is men of his stamp who raise the standard of public life and serve as an ever-present inspiration to others to give of their best in fulfilling the responsibilities of office. Emma died in 1911 and in 1914 he married Adeline Jenkinson. He had lived in Queen Anne Lodge, Stoke Newington for most of his life and retired to Tunnel Woods, Langlebury. He died on 4th November 1922 and is buried at Langlebury next to the church with his wife Emma, and his two sons Stanley and Sidney. Adeline lived on until 1934. Of the three children, Florence (our Grandmother) married William Gamble in 1888 of which more anon in the Chapter on the Gambles. John married Ruth Holding in 1914 and joined his father in the insurance broking partnership of J J Runtz and Son. They didn’t have any children. Sidney was an accountant but never married. There are two things worth mentioning about Sidney. He was given the forename ‘Westwood’ being his mother’s maiden name. It is through the Westwoods we are related to the Sharwoods. The other interesting thing is that, during the First World War, he was the Financial Adviser to the Controller of Mines. 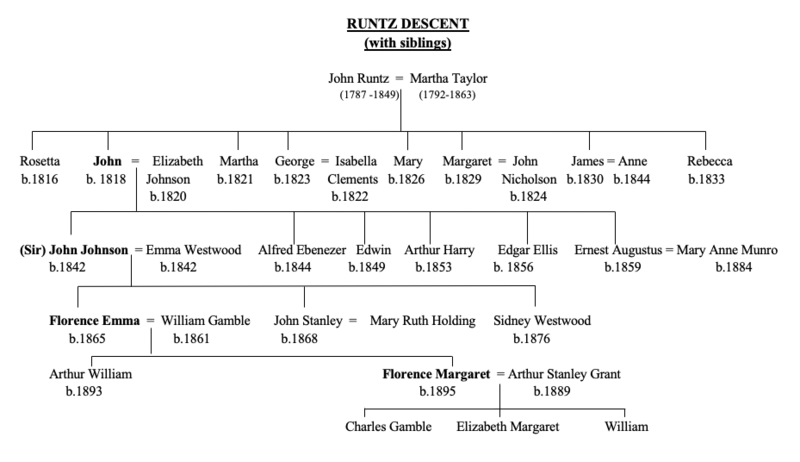 Ernest Augustus Runtz was the youngest of the six sons of John Runtz and the youngest brother of Sir John Johnson Runtz. He was born in 1859. He could hardly have been more different to Sir John who was a business man, politician and pillar of society, whereas Ernest’s two school talents were music and art. He was also a keen athlete and cyclist. There were seventeen years between them. Ernest grew up in a more affluent, solid middle class home where he could indulge in a cultural life more readily. He was educated at one of the Kingsland Birkbeck Schools. He left school at seventeen and was articled to an auctioneer, valuer and estate agent. At the end of his seven years of articles he was elected a Professional Associate of the Surveyors’ Institution (today that would be A.R.I.C.S.) and he went into partnership with his former principal Samuel Walker. Through his father, he met the eldest daughter of Donald Munro, who was a member of the MBW and in the territorial army with John. Donald Munro’s daughter was called Marianne, (sometimes Mary Anne). They were married in June 1883 in Chigwell by no less than three clergymen. It was a very grand affair. There were over 100 guests including Sir James McGarel Hogg, Chairman of the MBW and Sir Joseph Bazalgette, the MBW’s chief engineer. The best man was none other than William Gamble, and one of the bridesmaids was Florence Runtz, the daughter of Sir John. William and Florence were married five years later and were our grandparents. Ernest’s artistic talents came to the fore. He studied to become an architect and in 1888 passed the qualifying examination for associateship of the Royal Institute of British Architects. He was turned down by the Council for membership because he was also a surveyor. He wasn’t daunted and in 1890 started practising as an architect. He also joined the Board of the Birbeck. He won a prize for his design for the Municipal Buildings in Oxford. In 1891 he designed the Stoke Newington Free Library of which is father was a commissioner and he moved from Stoke Newington to Brighton where family life was lived on the upper class level. John then had a period of about 20 years practicing as an architect; usually in partnership with someone else. He was particularly interested in architecture of the French, Spanish and English Restoration. He designed several private houses, hotels, charity homes, business and commercial premises in London and the provinces. His speciality was in designing theatres and music halls. He designed them for the Strand in London, Hastings, Peckham, Whitechapel, Holborn, Birmingham, Middlesbrough, Cambridge, and Norwich. In conjunction with George Ford he also designed theatres for Cardiff, Halifax and another one in Birmingham. What he is most famous for is, however, the work which he did with George Ford in building the second Gaiety Theatre at the end of the Strand, on the corner of the Aldwych, where many of the great stars of the music-halls performed. During construction the L.C.C. complained that Ernest’s classical design was too severe and the second floor was modified in baroque manner by Norman Shaw R.A. the consulting architect. In spite of the apparent success of his practice, he didn’t make an enormous income out of it. In 1907 and 1908 two of his clients failed owing him substantial sums of money, and he had to resign from the Board of the Birbeck because he had sued the other members of the Board over some unknown matter and that lost him £600. He was a high-profile casualty of the 1909 Finance Act which made property an unpopular and uncertain investment. He took his son, Ernest, into partnership and in 1911 made a profit of £683 but in 1912 he had to have an operation and after a judgement against him for £600 he had to declare himself bankrupt. He died on 15th October 1913 aged only 54; a sad ending for a creative man. These Schools are intended to furnish a sound practical education to the children of the Middle Classes. They are unconnected with any Charity, and were the first to demonstrate that such Schools may be made entirely self-supporting. They are called Birkbeck Schools in honour of the founder of the London Mechanic’s Institution, Chancery Lane, where the first School of this kind was established. They have been built for educational purposes only, and are provided with all the most modern appliances for rendering the education given in them as thorough as possible. The rooms are spacious, well-ventilated, and cheerful and have dining and cloak rooms attached. To each school there is a covered and open playground so that the Children may have an opportunity of obtaining in all weather, that amount of physical exercise so essential for their healthy bodily development. The boys playground is fitted with a complete gymnasium and both boys and girls are regularly drilled under an able and experienced drill-instructor. The course of instruction includes Spelling, Reading, Writing, Dictation, Grammar, Composition, Arithmetic, Algebra, Geometry, Mensuration, Book-keeping, Geography, and Drawing, and the elements of Social Science, Chemistry, Human Physiology, Botany, Experimental Physics, and Vocal Music, with French, German, Latin, and the Pianoforte if desired. In the girls school these subjects are supplemented by Plain and Fancy Needlework. The Reading is not considered sufficiently taught until the pupil can read audibly and intelligently; and in such style to afford pleasure to his hearers. Writing is taught in a series of lessons on the forms and proportions of letters, in addition to the ordinary practice of writing from copies. In teaching Drawing the object aimed at is to enable every pupil to make a fair representation of any object placed before him. The Drawing course includes Freehand, Model Drawing, Practical Geometry, and Perspective. In teaching Arithmetic, principles are first taught, so as to enable the Pupils to understand the reason of the operations they perform; as well as to give them the power of at once finding the shortest road to a desired result, without a slavish regard for mere rules. Bookkeeping is taught by the system of Double Entry not by allowing the pupils to make a copy of entries from text-book, but by training them to work out each question for themselves, entering it in its proper place, under its proper heading. Composition is constantly practised, until power is acquired to write a letter in an intelligible style, without the slightest assistance. The Lessons in Physiology are intended to furnish the pupil with the knowledge of those laws which must be observed in order to secure a healthy existence. The Elements of Chemistry and Experimental Physics are taught in a course of lessons, with a view to familiarise the pupils with the common principles of the sciences, and their every-day application. Especial attention is devoted to the teaching of Social Science, so that the children may not go forth to take their part in the work of the world utterly ignorant of any safe guides of conduct. This teaching includes, among other things, the knowledge of the laws relating to the production and distribution of wealth, the means by which wealth is made to accumulate – the advantage of Division of Labour, and interchange, the laws which regulate wages and profits – the causes of variations in values and prices – the nature of the means adopted to facilitate interchange, but, above all, the courses of conduct which ought and must be followed in order to secure future happiness and well-being. It is not pretended that every aspect mentioned in the list is taught to every pupil, the plan adopted being to teach those things first, which are first in order of importance, extending the course of study with the growing intelligence and capacity of pupils. No one of the many methods of teaching is adopted in its entirety, but such a selection is made of every method as experience has proved to be the best. In all cases, the cultivation of the mind, and the formation of good habits, are deemed of far more importance than cramming the memory with a mass of facts, which too often are but feebly grasped and soon forgotten. Annual written examinations are held in most subjects, and prizes awarded to the most successful candidates in each. 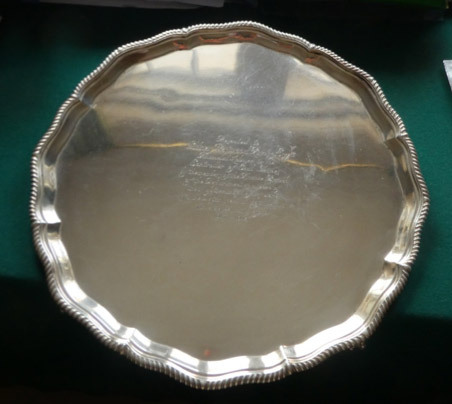 In order that the prizes may not fall to the lot of the same pupils in successive years certain prizes in each subject are open to any who can win them, and an equal number are restricted to those who have not obtained a prize before. A report of the industry, attendance and conduct of each pupil is sent home quarterly, to be inspected and signed by the parents and then returned. In the government of the School no Corporal Punishment is practised or allowed but the Pupils are trained to see the importance of obedience and order, so that their School life may be turned to the best account. Just so such home-work is given to each pupil as will enable the teacher to ascertain that the pupil really understands the work he is engaged in at School. Parents will greatly assist in the progress of their children by seeing that their home-work is regularly prepared. When desired, pupils are prepared for passing the Civil Service Examinations, the examinations in connection with the Department of Science and Art, and the Oxford Local Examinations. 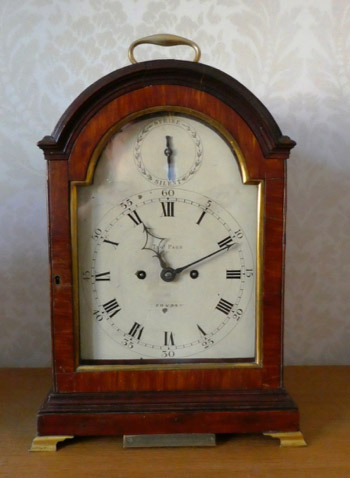 The School hours are from half-past nine till half-past twelve in the morning, and from two until four in the afternoon. (Saturday excepted). Terms – One Guinea per Quarter, including French, German or Latin. Exclusive of Languages, 15s per Quarter, Pianoforte, 10s. 6d. per Quarter. Pupils entered at any time on payment of the balance of the Quarter’s Subscription. Application to be made between the hours of nine and five at the Schools, or on Monday evenings before eight.